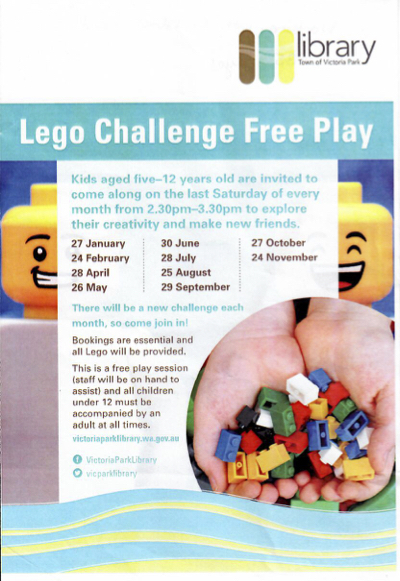 Many public libraries around Perth run LEGO play sessions for kids during the year - so why not check them out if you've got kids who like LEGO, like going to the library, like playing with other kids, or like doing all three! 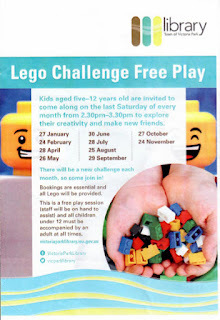 Kids are invited to explore their creativity and make new friends at their LEGO play sessions. They are held on the last Saturday of every month, from 2:30pm - 3:30pm. Bookings are essential to attend the sessions. Click here to go to Victoria Park Library for details. Some of my creations are on display at Victoria Park library right now - check them out if you get a chance! 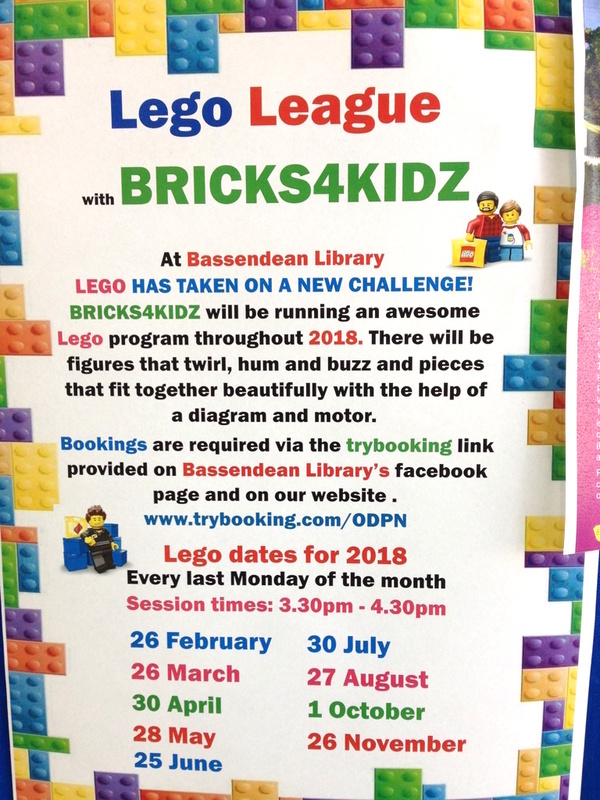 Bricks 4 Kidz will be running hour-long LEGO sessions where they are shown how to build models with moving parts and a motor. They will be held on the last Monday of every month, from 3:30pm - 4:30pm. Bookings are essential to attend. 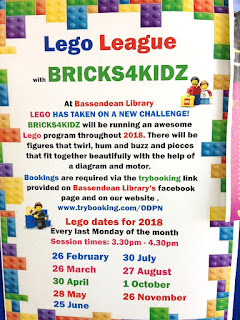 Click here to go to Bassendean Library for details - look for "Lego League with BRICKS 4 KIDZ"
If you can't get to the above libraries, we have a list of libraries with known LEGO clubs. Click on the Clubs for Kids tab above to see them. Or just contact your local library and ask them if they have a club.